Thanks to my readers who love my recipes. You gave me ideas on what food to cook and explore at times. I was requested to cook Swiss chicken wing this time. In fact, I wanted to cook this dish since my last taste of the Swiss wing at the cafe in Hong Kong during my trip there back in Sep.
As well-known by many foodies, especially Hong Kong residents, Swiss chicken wing is not originated from Switzerland. Swiss wing is believed to be a great creation by a Hong Kong chef. Hence, Swiss chicken wing is popularly served in many cafes and restaurants in Hong Kong. Some even considered this as HK cafe delicacy. Swiss chicken wing is also known as Sweet chicken wing. It tastes simply aromatically sweet, and so, be named as ‘Sweet’ chicken wing, but later being misinterpreted as ‘Swiss’ by the diners due to poor communications between the diners and the servers in the original restaurant (which first created and served this dish) who do not speak proper English back in those older days. It is then rather popular to be called the Swiss chicken wings. 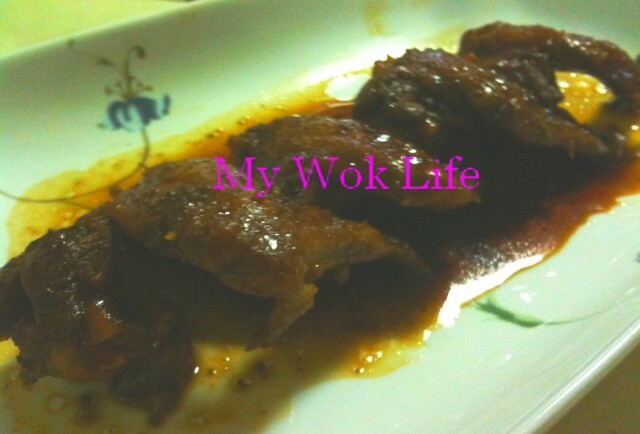 To cook this dish, bigger chicken wings are usually recommended as the wings will shrink after braised. This recipe is simple and easy to follow. Taste is great, simply sweet with aromatic soy sauce flavor. It’s sweet, and definitely kid-liking good! 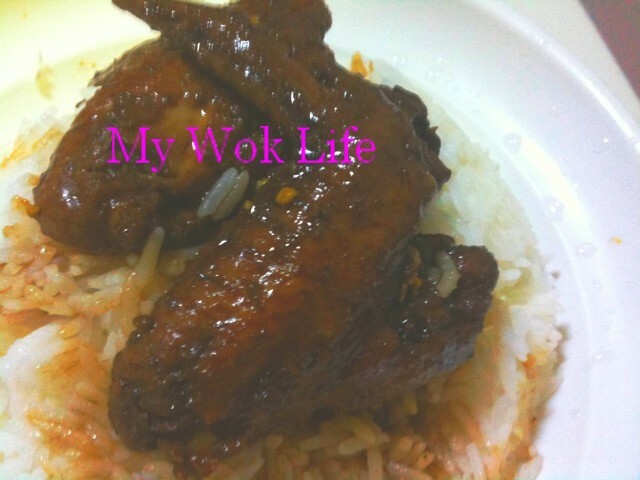 1) Season chicken wings with the listed ingredients in a large bowl. Mix and dredge the seasonings on the wings to ensure all sides of each wing are well seasoned. Cover bowl with cling wrap and marinate chicken wings for at least 30 minutes. 2) Transfer marinated wings together with the marinating sauce to a large pot and cover the pot with lid. Cook the wings on low-medium fire. Simmer the wings for about 30 minutes, or until the wings are cooked tenderly. You may adjust the heat while simmering to avoid over bubbling. Also, gently flip the wings occasionally to avoid wings from sticking on the pot and to ensure the wings are browned evenly on all sides. Heat off. Serves with rice or noodles. A serving of two Swiss wings with steamed rice counts about 460kcal. Tips: Unless you are going to marinate the wings overnight or more than an hour time, refrigeration is not necessary for 30-minute marinating process. You may season the wings directly in a large stove-proof pot and bring it to a cook using the same pot, then. * Do not over cook the wings to prevent the joints from disintegrating. 30 – 40 minutes should be the right cooking time. I love chicken wing, these Swiss chicken wings looks so finger licking good. I love chicken wings and this is definitely a new version to me! Will try soon! Can I use drumlets instead of the wings for this recipe?